Betsson Group – The €30K Spring Cash Chase! Play Live Roulette and Live Blackjack to win up to €4,000 in cash! It’s time to get your running shoes on to join a brand new Live Casino Cash Race. 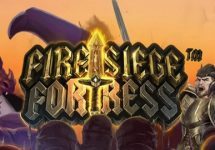 All you need to do is collect points to climb the two leader boards, each offering 100 prizes from two €15,000 prize pools. 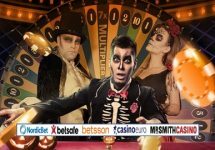 Play on Exclusive Live Roulette, Lightning Roulette and Exclusive Live Blackjack tables at any of the Betsson Group casinos – Betsafe Casino, Betsson Casino, Casino Euro, NordicBet Casino or Mr. Smith Casino – to race against your fellow players and you could win up to €4,000 in total. 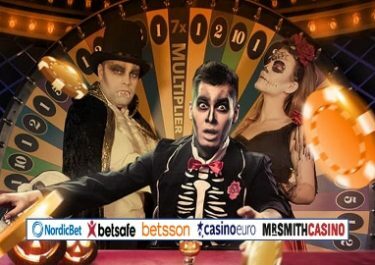 All Live Casino enthusiasts and wannabees, get ready for a proper 8-day race on the exclusive Live Casino tables at any of the Betsson Group casinos – Betsafe Casino, Betsson Casino, Casino Euro, NordicBet Casino or Mr. Smith Casino. 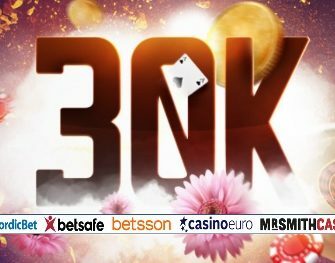 €30,000 in cash are up for grabs in the Spring Cash Race, divided in two prize pools with a total of 200 prizes. The leader boards are updated every day, except weekends and public holidays, by 16:00 CEST. Terms and conditions apply. Earn points to climb to the top of the leader board when you collect wins. For roulette wins players will get points equal to their win divided by their stake, e.g. a €20 win with a €10 stake will yield 2 points. Additionally, players also get half a point per euro staked on the actual winning number. Taking the same example, a €10 stake will yield an additional 5 points. A qualifying game round is a real money bet round, and a bet round which does not exceed a 60% layout coverage, players must not bet more than 22 numbers on roulette in a single game-round. Outside bets on roulette are not included and do not count towards the tournament. Players will earn points every time they get blackjack wins on the eligible tables. Players cannot occupy more than 2 seats at any Blackjack table. Only bets from €10 + (and above) qualify for bet behind points. Get 1 | 10 point for every win | every Blackjack win. Get 25 points for each Perfect Pair side bet or 21+3 side bet. The TOP100 of each race by midnight on 25th April 2018 will each win a share of €15,000 in cash, credited with no wagering requirements on 26th April 2018. Since this is a Betsson Group promotion, winners can be from any of the participating casinos. Cash Prizes: 1st – €2,000 | 2nd – €1,350 | 3rd – €1,100 | 4th – €800 | 5th – €700 | 6th – €600 | 7th – €500 | 8th – €400 | 9th – €300 | 10th – €200 | 11th to 20th – €175 | 21st to 30th – €150 | 31st to 40th – €100 | 41st to 50th – €80 | 51st to 60th – €65 | 61st to 70th – €50 | 71st to 80th – €35 | 81st to 90th – €30 | 91st to 100th – €20.